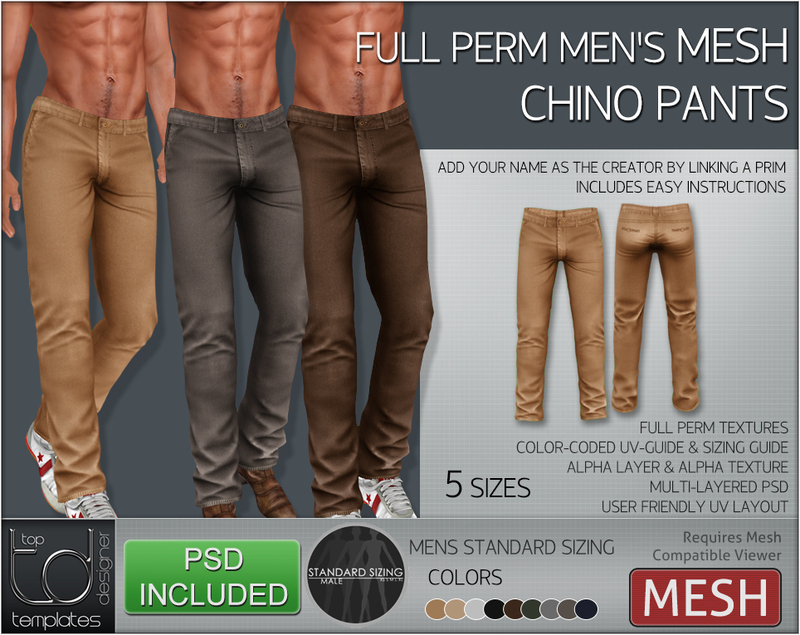 Full Perm MESH Men’s Chino Pants. 5 Sizes according to Men’s Standard Sizing. 9 Colors. Multi-Layered PSDs also included.